Kill Your Stubborn Fat and Sculpt Your Body With Coldness! The internet is littered with thousands of dubious and unfounded “miracle cures” for weight loss and fat reduction. So it only seems natural to immediately write-off CoolSculpting as a “too good to be true” passing fad. To most people’s surprise, however, the science behind this fat freezing treatment is incredibly sound. Cold sculpting is one of the most well-researched and effective non-invasive body contouring procedures available. And it really works! The vast majority of CoolSculpting reviews express positive outcomes and amazement over the exceptional results of freezing fat. It is quickly becoming a favorite of women and men in the Orange County area, and southern California as a whole. Our Newport Beach Medspa offers CoolSculpting as a quick and efficient “walk-in, walk-out” treatment that requires no recovery process or downtime. The entire fat freezing procedure is accomplished within an hour! Real fat loss doesn’t get much easier than that. As a non-surgical and non-invasive body contouring remedy, CoolSculpting is an excellent alternative to more intensive treatments like Liposuction. 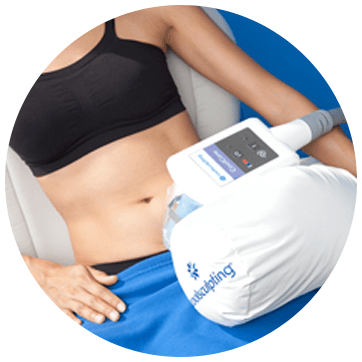 Using an advanced cooling mechanism and a protective gel cover, our CoolSculpting technicians can freeze fat cells that reside within nearly any “problem area” on the body with incredible precision. The frozen fat cells are killed and eventually eliminated from your body after a period of 1 to 2 months. The results will start to show within a few weeks of your first treatment. Does Freezing Fat Actually Work? Orange County best liposuction technique will attest that CoolSculpting isn’t “snake oil” or just another “miracle cure.” Modern science allows us to reap the seemingly magical benefits of fat freezing technology and it works extremely well. The results truly speak for themselves. New Look Now Can Show You How! 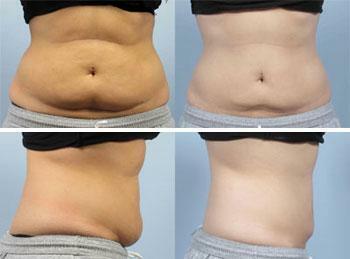 Want to know how you’ll look after a CoolSculpting procedure? Visit our partners at New Look Now to get a completely free and remarkably accurate simulation of the results. New Look Now utilizes cosmetic experts to show you how you will look post-procedure through real-time image editing. Simply submit a photo of any area on your body that you’d like to correct and the technicians at New Look Now will deliver a precisely edited version back to you. Try New Look Now for free today! Our CoolSculpting treatments could be the extra push that your body needs to get closer to your “ideal self.” Click here if you’d like to learn more about non-invasive and non-surgical body contouring procedures. Please give us a call or fill out our online consultation form if you’re ready to take the next step to love the way you look!